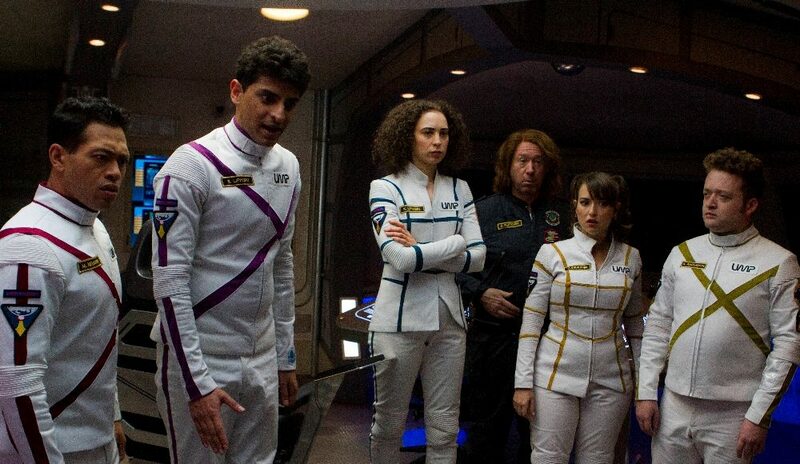 Other Space Review - TV Yahoo - Paul Feig Hopes To Kill In Space - Are You Screening? 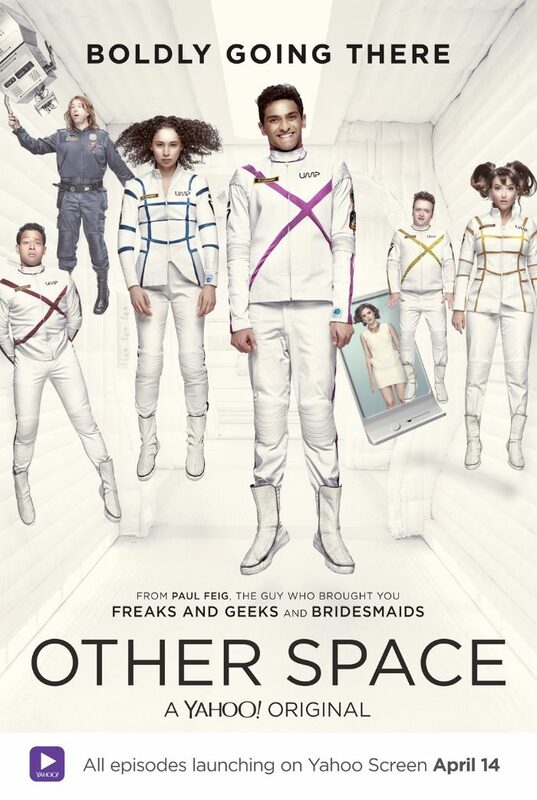 Fans of Paul Feig have a new group of geeks to fall in love with, and the crew of the spaceship that makes up the set of Yahoo Screen’s Other Space are as odd and “freaky” as anything he’s come up with before. 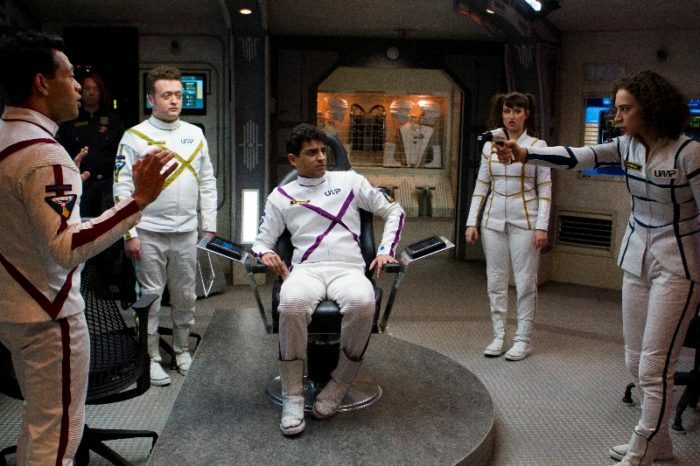 Stewart Lipinski (Karan Soni) is mildly interested in pursuing a career in galaxy mapping, or whatever, and as we enter the show, he is taking his final test to become Captain of his own spaceship. He wins out over his sister, Karen (Bess Rous), largely because she is so… intense, that even the higher-ups of the space program are scared of her. This is not exciting news for Stewart, who doesn’t want to spend a long space voyage dealing with her, especially when he has to convince her that he’s in charge. The crew is basically a semi-typical gaggle of misfits, and Stewart isn’t equipped to be in charge of them, or anyone else. Tina (Milana Vayntrub) got her spot because Stewart has a crush on her. Unfortunately, she’s got a boyfriend, and she’s sickeningly in love with him. Michael (Eugene Cordero) was once Stewart’s baby-sitter, but the pair have long been friends, and Stewart promised to make Michael his first officer… which he can’t actually do, because Karen has been given the job. Kent Woolworth (Neil Casey) is only around because his mother is in charge of the space program, and he isn’t especially interested in the job. 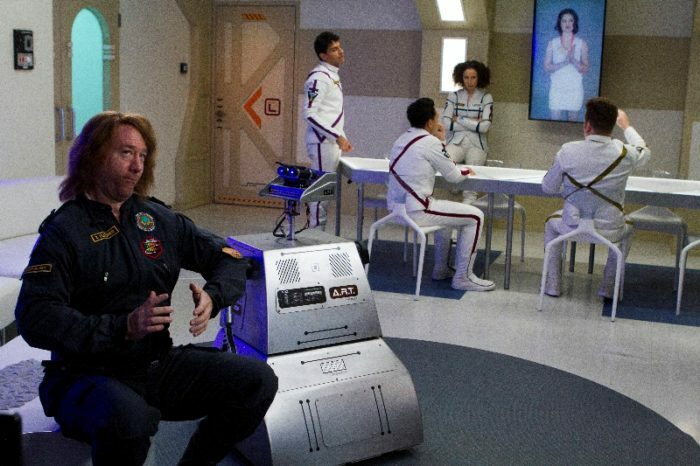 Zalian (MST3K’s Joel Hodgson) is the engineer, or something, but his main contributions to the crew are forgetting to bring food (but tons of fudge), and smuggling a robot, A.R.T. (MST3K’s Trace Beaulieu), on board. Natasha (Conor Leslie) is the computer program that is programmed to assist the crew in any way she can, while presenting a visual form that is optimally stimulating. No sooner does the mission launch then our band of goofballs find themselves sucked into a parallel universe, or whatever, and now they have no way to get home, no food apart from fudge, and they are being attacked by strange aliens who can manipulate their minds. Who knows what else they’ll find as they continue to explore and try to find a way to survive. What we do know for sure is that they won’t be prepared to handle it. Much like everything else Feig has done, the show has two big main components that it hopes sell things. 1) it’s more interested in a clever style of comedy than huge laughs, and it hopes to deliver most of that through characters that are just to one side of people you know. 2) It gives the actors a lot of leash. The show has a strange Freaks & Geeks vibe to it, mostly in the way that it brings forward its social commentary. It’s taking a shot at the “unprepared generation,” and the bizarre turn of cultural development that has resulted in ennui as a kind of goal. It has moments that are extremely funny, but it does most of the real work in small bites that you either almost miss, or aren’t really expected to pay much attention to. Sure, the sibling rivalry is often hilarious, and Karan Soni works a great straight man into the mix, but it’s the little moments that really bring everything together. Things like, Dave Franco’s “how to be cool” guest spot, or the “having a cry instead of helping, because whatever,” scene. It’s fairly rapid-fire, built for odd-lovers, and it works just as well for serious Matthew McConaughey fans and those who are sick of him.